LinkedIn is the professional social platform that has made its name connecting and growing the professional network of people worldwide. With a firm focus on career development and recruitment, you’d be forgiven for thinking LinkedIn is purely for job seekers. LinkedIn is similar to its social counterparts in its emphasis on connection and network. Just like Facebook and Twitter, LinkedIn functions as a social tool to connect, follow and share, but differentiates itself by its professional tone and intention. LinkedIn is a complimentary lead generation tool that may outweigh your other social networks with its incomparable outreach capacity. While the advertising potential of social platforms like Facebook and Instagram has been explored thoroughly by marketing agents, LinkedIn remains an underestimated digital marketing tool, especially in the B2B realm. LinkedIn exists as a ready-made way to tap into customers and connections, in fact it’s the top-rated social network for lead generation. While other social platforms have fallen victim to spam, hard selling and blatant promotion, LinkedIn remains unique in its refusal to accept this kind of marketing behaviour, offering a more subtle marketing approach. LinkedIn has a distinctive audience and as such your marketing approach should reflect this. LinkedIn has emerged as an ever-increasingly effective tool for B2B leads with 64% of corporate website visits originating from LinkedIn. Optimising content for LinkedIn will not only place your brand as a leader in your industry but will attract the attention of a global audience. Not being on LinkedIn, aside from not giving you access to this global audience may actually harm your business. As the number of LinkedIn users grow to half a billion, a brand presence is essential in authenticating your business. Ensuring your business’ LinkedIn profile is representative of your brand as a whole is just as important as fine-tuning your website. Once your profile is up to date, it’s time to start joining professional networks that relate to your industry, this is a way to gauge what businesses are talking about and may present you with a way to connect with them or solve the problems they present. Another tip is to claim your LinkedIn URL, making sure it includes your name. This is useful as many people will search a person’s name before a business meeting, and this will ensure if they do they are led to your LinkedIn page. LinkedIn also gives a face to your employees, furthering certifying your business. Encouraging your employees to engage with LinkedIn and grow their networks has a flow-on effect for your business. Curating specialised, targeted content for LinkedIn is essential. This is where content is being consumed the most, with LinkedIn users labelling themselves as ‘news junkies’. Having a weekly LinkedIn blog relating to industry issues establishes your business as a thought leader in your industry, this builds brand awareness and authority which is imperative to lead generation. Additionally, LinkedIn’s direct post function makes it possible for relevant content to go viral. The LinkedIn ‘spotlight’ will direct the content to tens of thousands of users in the category the content pertains to. This generates much more attention/traffic than a website ever could. Develop a content schedule that is consistent and abides by the LinkedIn golden rule: post at least once a week. Like other social platforms don’t forget to utilise hashtags, images and descriptive captions. What makes LinkedIn such a valuable marketing tool is its unmatched ability to target specific audiences. The selective audience options are so precise that you can zero it down to the exact industry, company size and job title of the people they know would typically buy that product or service. Once this audience is nominated you can create sponsored content, text ads and messages through an email mechanism. LinkedIn is truly leading the way in their latest advertising innovation aimed at retargeting visitors already in your sales funnel. The ‘Matched Audiences Tool’ allows you to retarget website visitors and email contacts with your LinkedIn ads. This specialized tool is especially relevant on LinkedIn as it is network of professionals, meaning they are more likely to engage/buy/ take action. 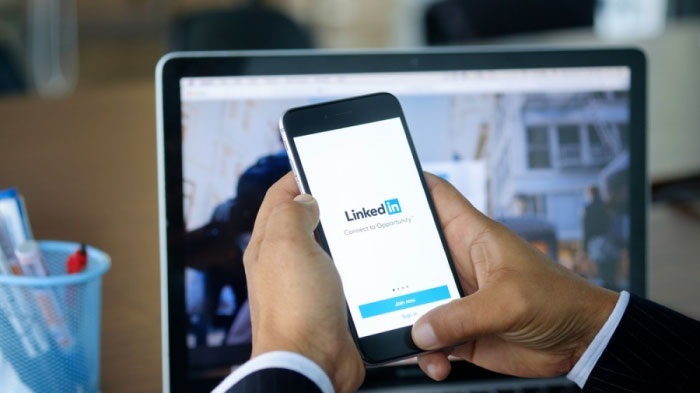 Don’t be afraid as a business owner to use LinkedIn to connect with relevant professionals like strategic partners, other business owners and industry leaders and encourage your colleagues to do the same. This will increase your companies reach and visibility on the platform which is invaluable to lead generation. LinkedIn shows no signs of slowing down, so if you haven’t already embrace this platform’s unrivalled ability to target audiences and grow your businesses brand authentication.